Welcome to Inspire Me Monday Linky Party! Thanks so much to everyone who joined our 1st Inspire Me Monday last week! If you missed any features from last week you can see all 3 feature posts here: (mine) 5 Inspiring DIY Projects, (MaryAnn’s) Inspire Me Monday 1st Features, (Kristen’s) Inspiring Friday Features. 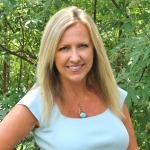 If you are new here, let me offer 4 fabulous reasons to join Inspire Me Monday! 3 blogs + 1 linky = awesome exposure & creative inspiration. A chance to be featured on 3 blogs each Friday. A chance to have your original post pinned to our NEW *Inspiring DIY, Decor, & More* Pinterest Board. Follow Sand and Sisal’s board *INSPIRING DIY, Decor, & More* on Pinterest. Now it’s time to link up your amazing projects! 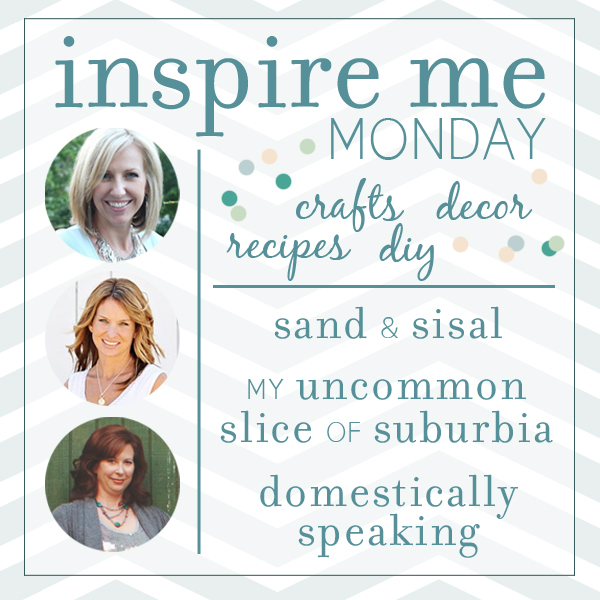 Inspire Me Monday is looking for awesome DIY projects, decor, crafts, and recipes. Hi Kim, Thanks to you and the other ladies for hosting. I am a new email subscriber. Suzanne of Simply Suzannes Kim! Thanks for the great party, lots of interesting and pretty things to see. Congratulations on hosting the new party, Kim!! I’m sure it’ll be very successful–you three ladies will make great hostesses! I appreciate your gracious spirit, and I look forward to linking up with you soon. Have a wonderful week! Thanks so much for hosting, Ladies, and have a wonderful week!